- It's the visitor's first time to the page. - Testing mode is off. 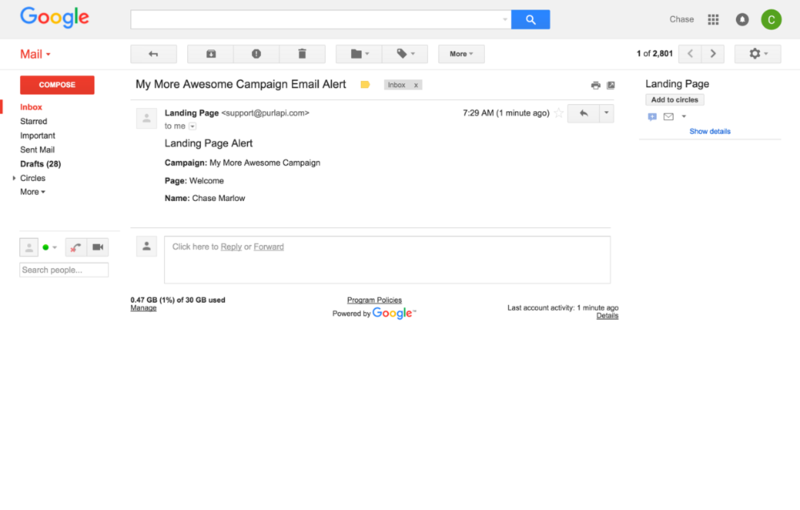 Alerts are used to notify administrators of landing page activity. 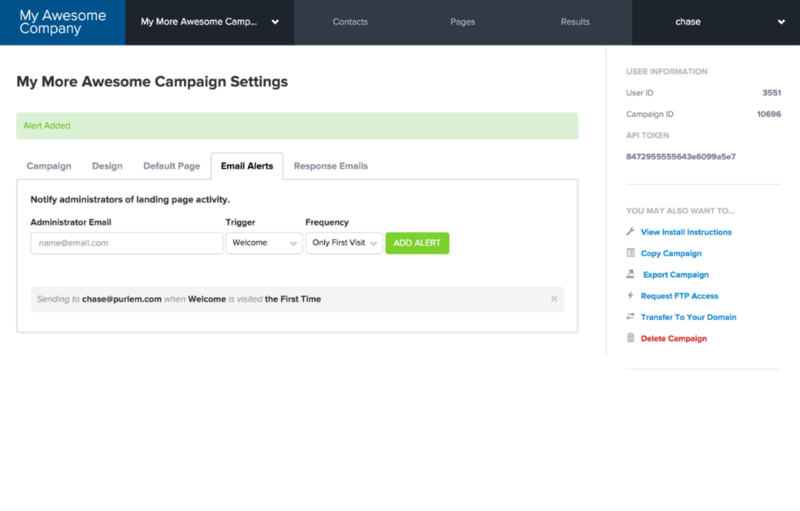 Alerts can be set for any landing page, and can be sent to any number email addresses. 1. Under the "Settings" tab, find the "Email Alerts" tab. 2. 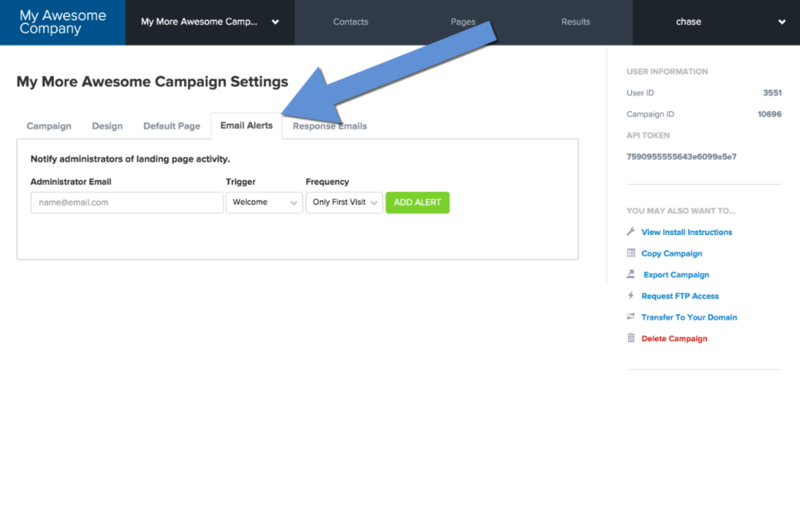 Add your email and setting then select "Add Alert." You can add an unlimited number of alerts. 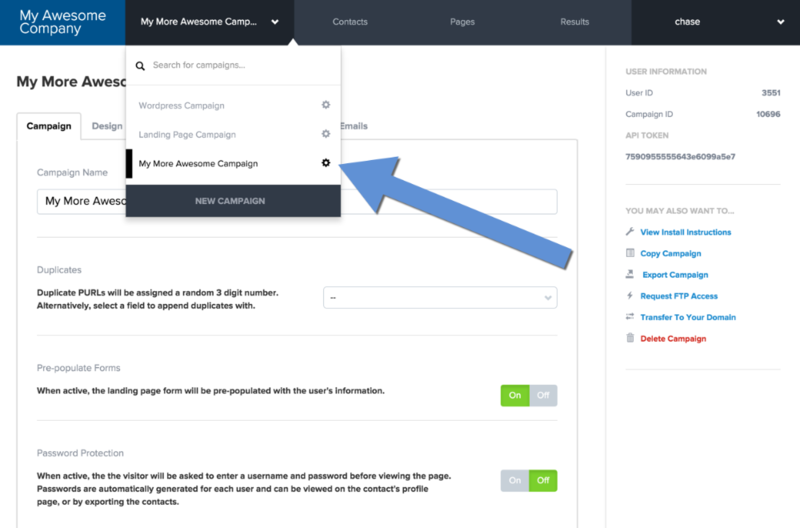 The email alert will contain the campaign name, page visited, and all information associated with the visitor (including information just submitted through the landing page).